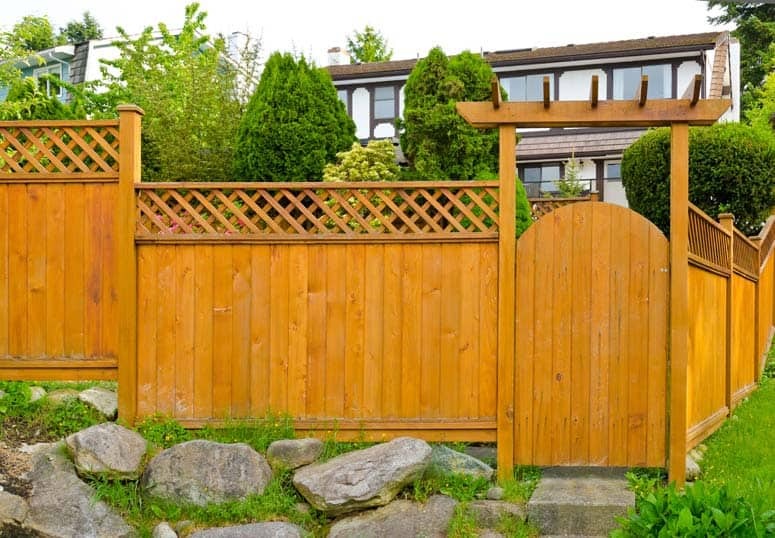 Expert advice and ideas for planning a fence that looks great and does exactly what you want it to do. 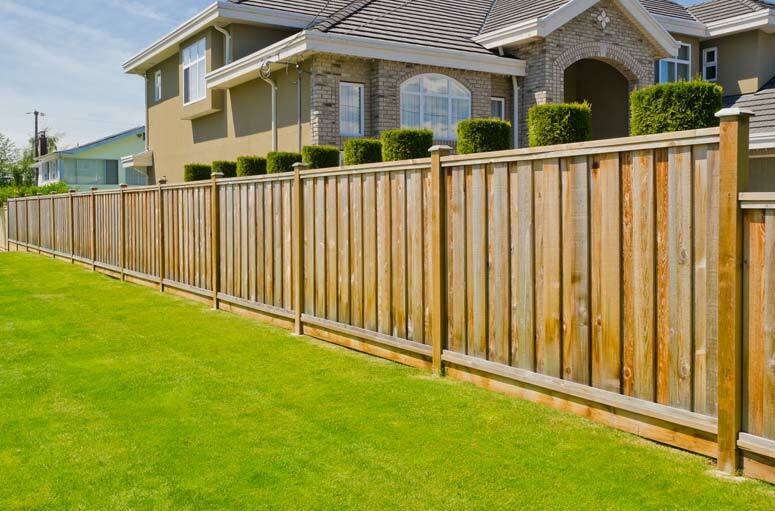 Heavy rails and crisscross slats form a striking two-sided fence along this property line. 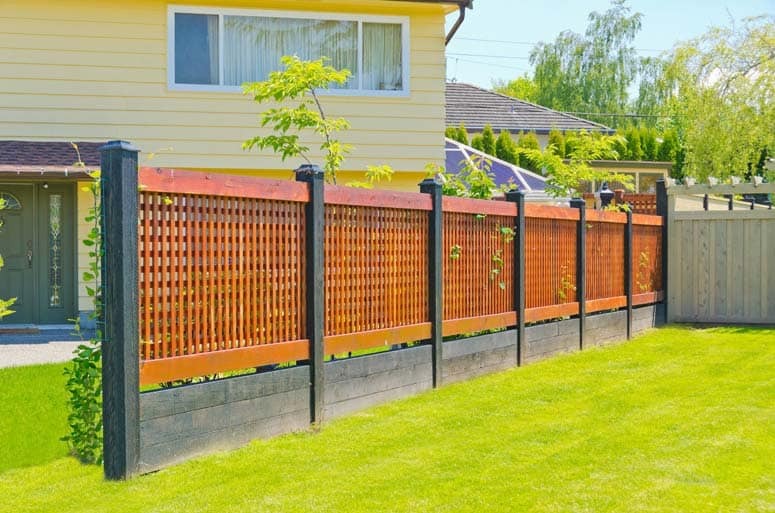 Vertical board-on-board solid fencing is tall and difficult to climb, but its surface pattern gives it visual interest and makes it less imposing. 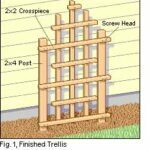 Combination of board and lattice provide privacy without seeming unfriendly. 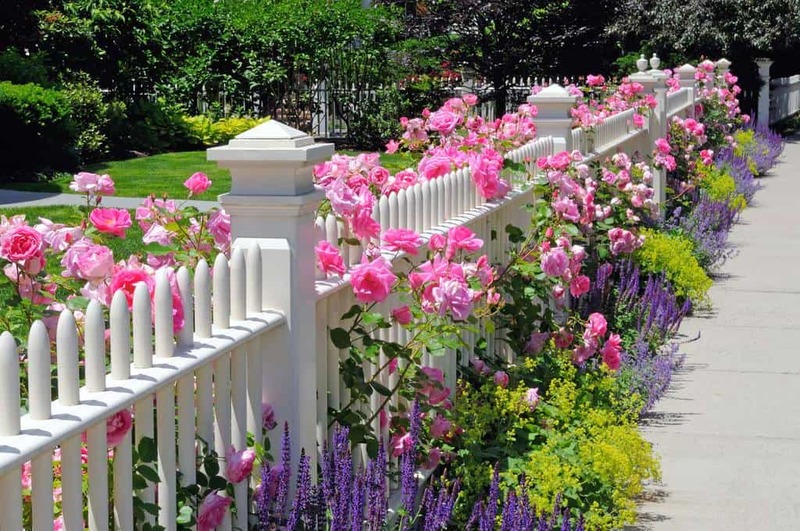 Short picket fence offers stunning curb appeal with a display of colorful roses, flowers, and vines. 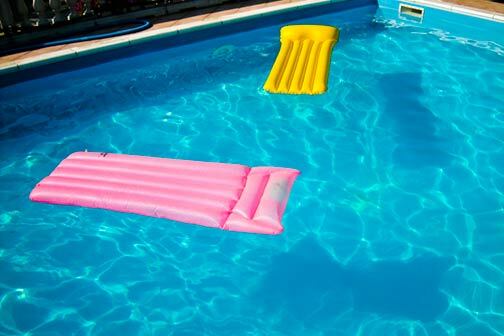 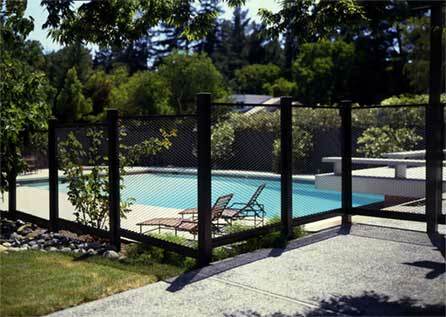 A solid fence with a baffle angled into the wind (lower right) offers the best overall wind protection. 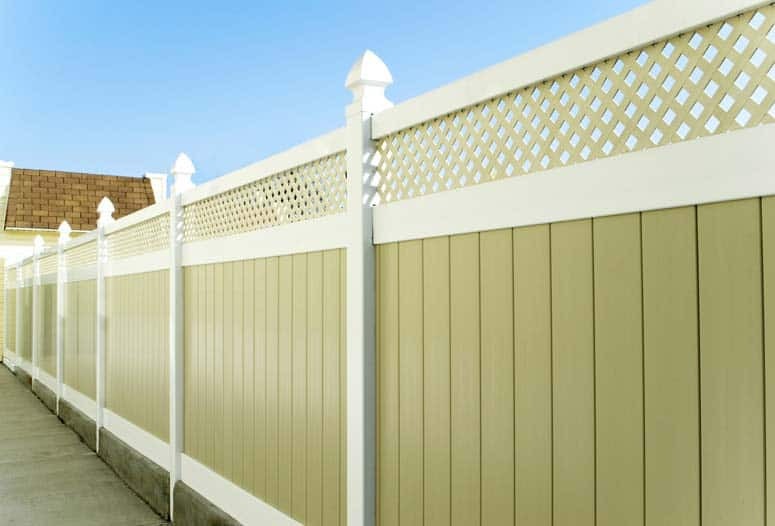 Vinyl fencing has interesting detailing and is very low maintenance.